I wanted to share some of the Best Keto Snacks! The Keto diet is so popular right now. Have you tried it yet? Several of my friends are using Keto to lose weight and absolutely love it. 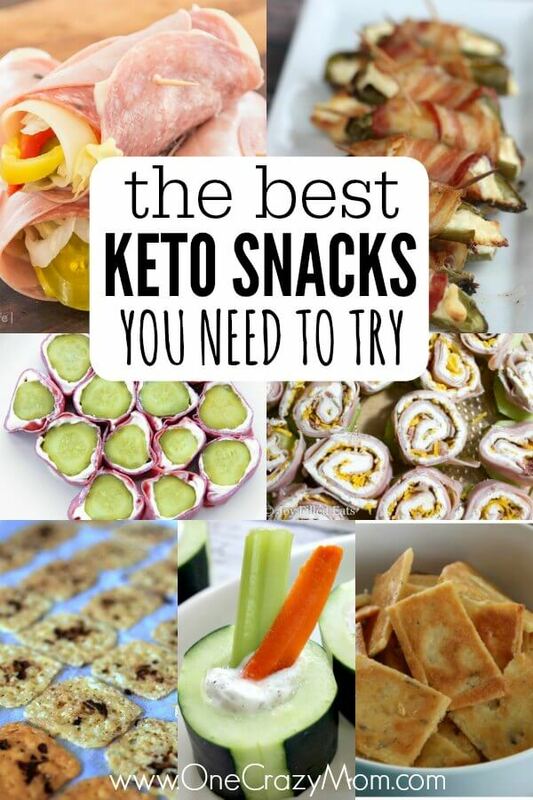 With lots of yummy Keto diet snacks, you will be on your way to success! If you need inspiration, try these 40 Easy Keto Dinner Ideas. 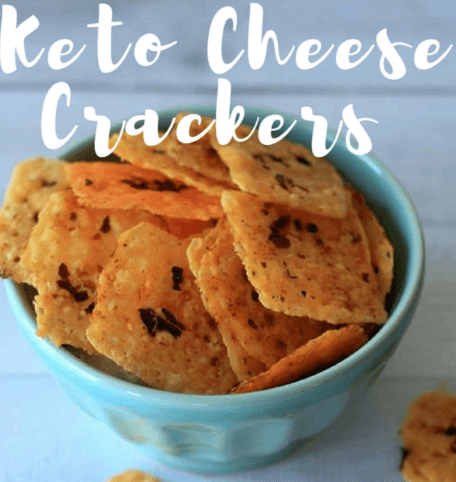 They will go perfect with these keto diet snacks! Make a plan and get started! You will be so glad you did. These snacks for keto diet will really help you stay on track! I like to use these bento containers to pack snacks on the go. It helps me stay on track even when traveling or during a busy day of errands. I have learned to be prepared or I will be too tempted to grab an unhealthy snack or meal while I’m out. This really helps me grab Good Keto Snacks instead of something unhealthy! Keto Diet Snacks you will love! I can’t wait for you to try these yummy snacks. In fact, you might wonder if you are even on a diet! It will be so easy to follow this Keto lifestyle with so many delicious options. My friends tell me that they are never hungry and love all the food! 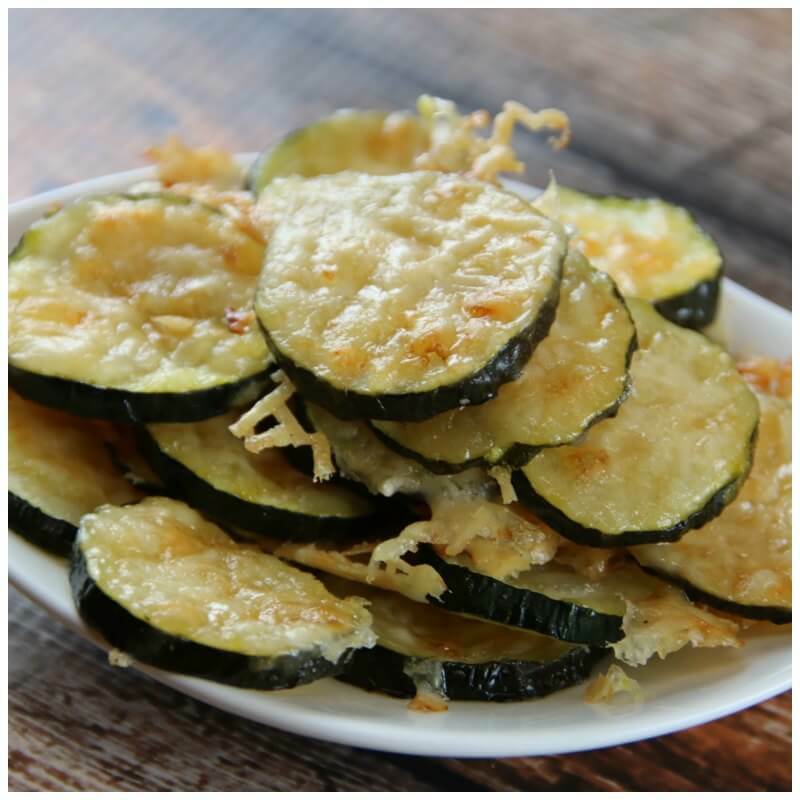 Let’s get started with these Keto friendly snacks! 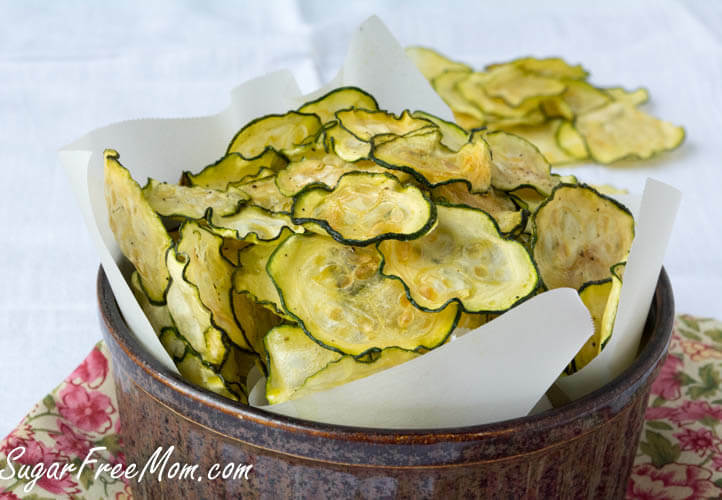 Zucchini is amazing in these little “chips”. They are crispy and delicious so you will feel like you are getting to eat chips. Yellow Squash is also very good in this recipe. 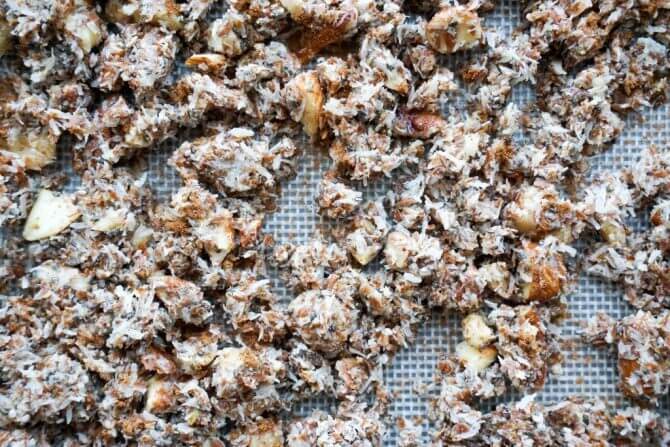 Only two ingredients and you can make this yummy snack! Eggs and cheese come together for a delicious snack. It sounds like a “Cheeze-it”. Not only is this healthy but it’s so cute! 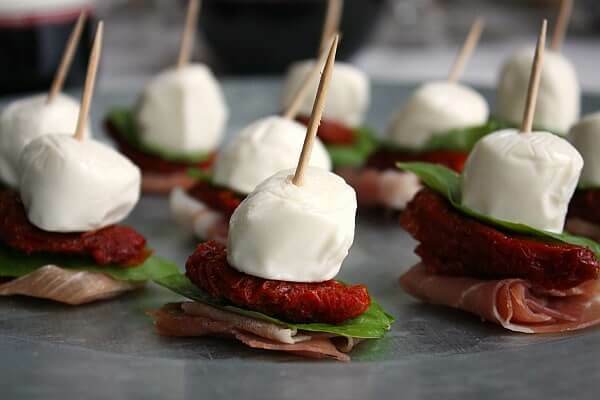 It would also be a very easy appetizer to make at your next gathering. If you are missing carbs and eating crackers, try this recipe! 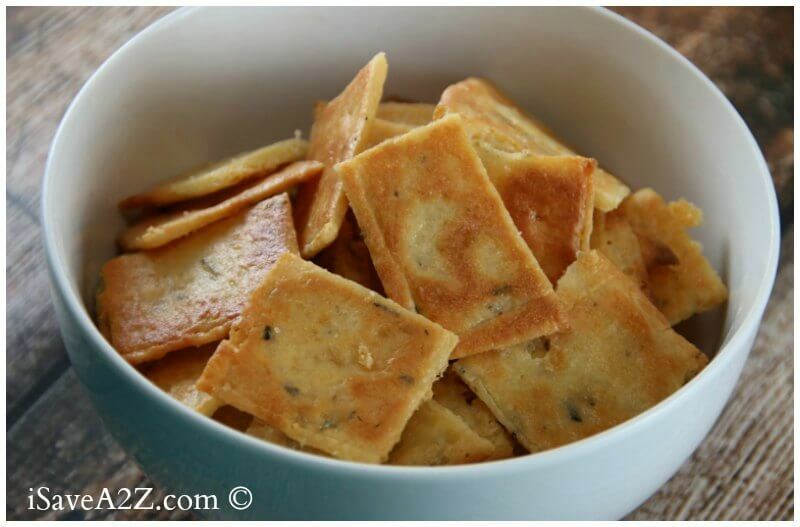 You will love eating these “crackers” for a snack without any guilt. This snack is perfect for cereal lovers. It can be hard to give up your favorite cereal. This recipe does the trick and is amazing! This dip is amazing! Serve with celery to make it Keto diet friendly. 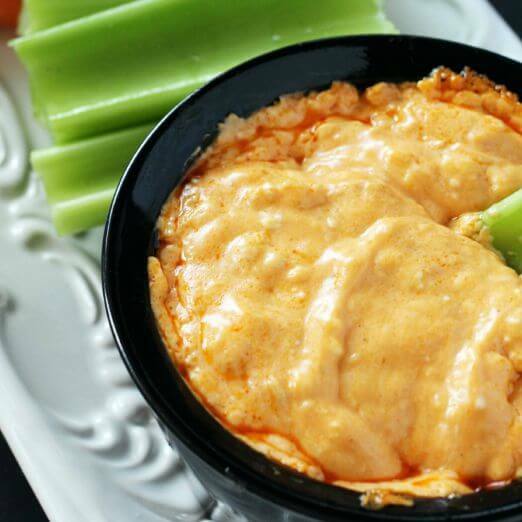 This spicy buffalo dip is loaded with chicken and yummy cheese. Not only is this so easy but it looks so pretty. You could bring this to parties so that you will have a Keto snack available. The meat and cream cheese mixture is so good! I love how the recipe puts these on pickle slices. So cute! Oh my these look amazing! If you like Avocado toast, try this recipe! 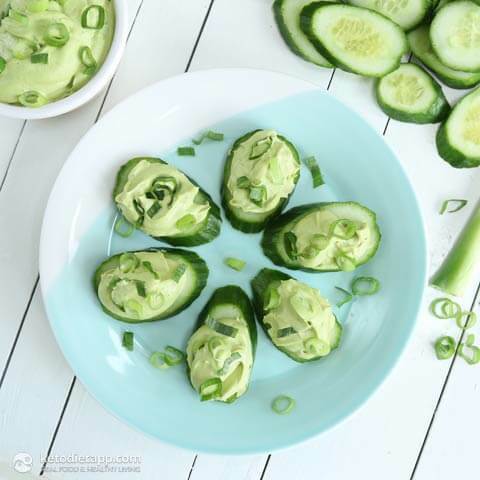 Yummy cucumbers are topped with avocado. So yummy! You can also add spring onion on top as well. Another delicious “cracker” recipe to keep you satisfied. This sounds perfect for parties or movie night when you just want a snack. 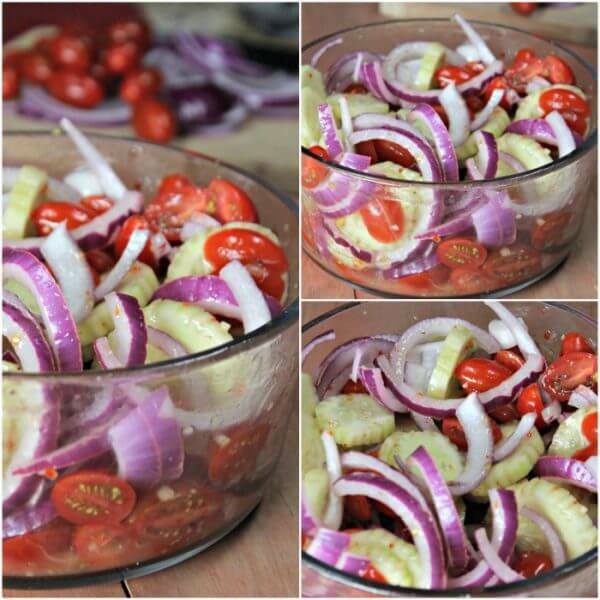 This salad is loaded with cucumbers and tomatoes! It has the best flavor with all the yummy marinade and dressing. You have a big bowl of this without any guilt. Yum! 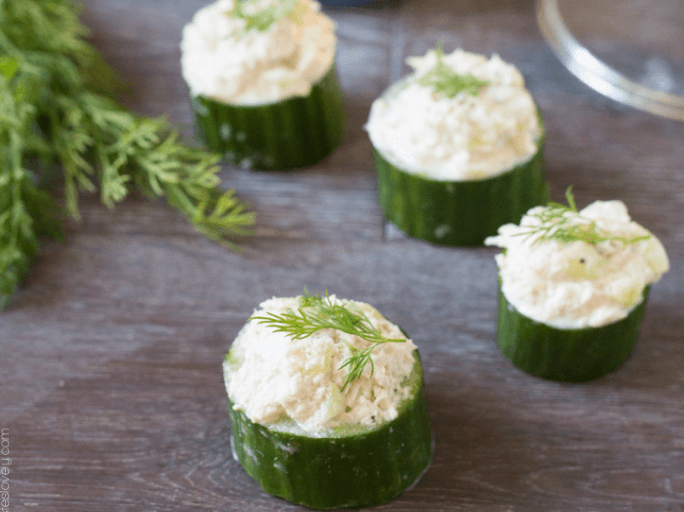 Tasty cucumber cups are loaded with tuna salad! You won’t feel deprived at all with this filling and yummy snack option. Oh my! 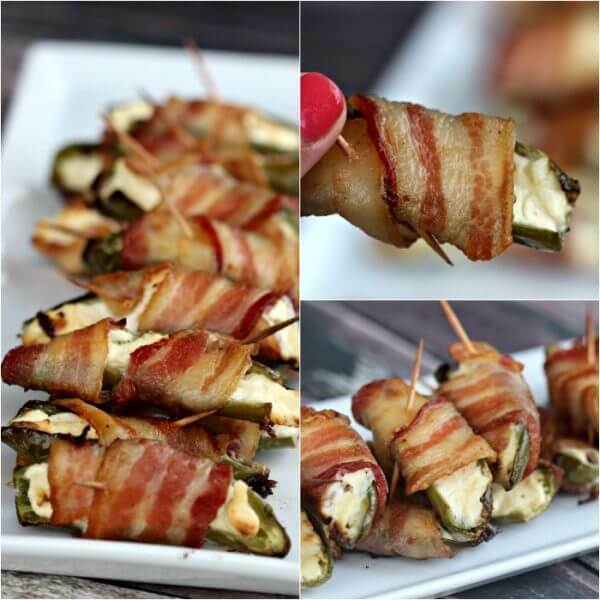 These bacon wrapped jalapeño poppers are so fun to eat! Bacon makes everything better! 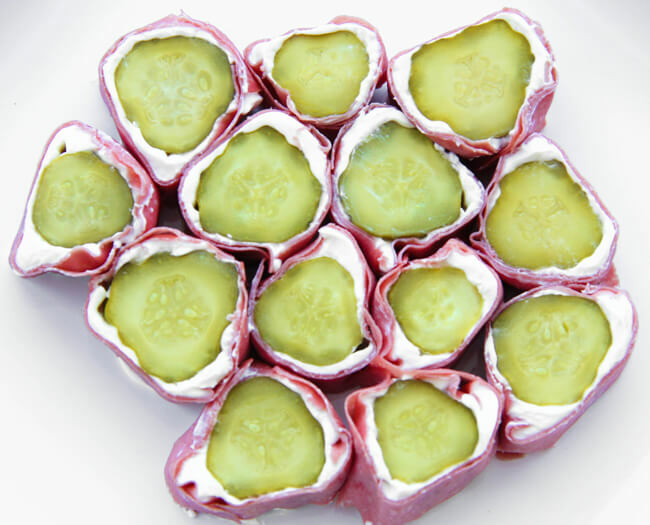 Perfect for game night or anytime you want a tasty snack. 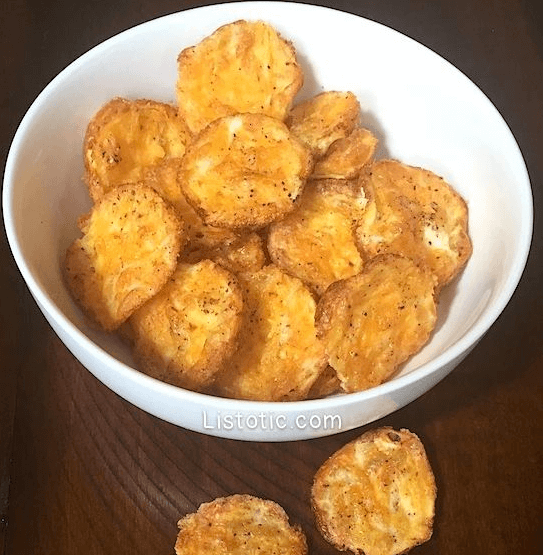 If you’re favorite snack is salt and vinegar potato chips, try this alternative for a yummy snack. You will be surprised how good it is! All the things you love about an Italian Sub can be found in this tasty toll up. 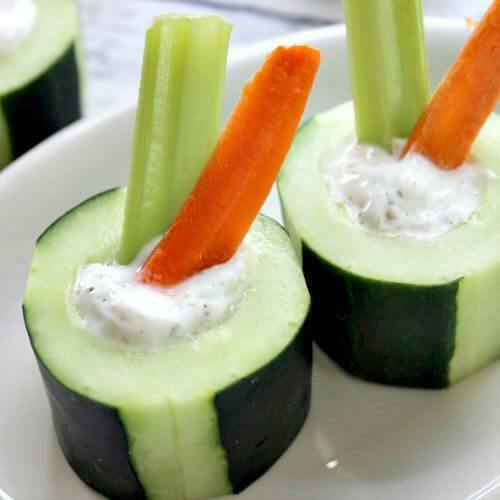 It’s a great snack or appetizer idea. This pretzel snack is so yummy! The secret is all the yummy cheese. It sounds so good. If you like a snack with a little heat, try this tasty recipe. 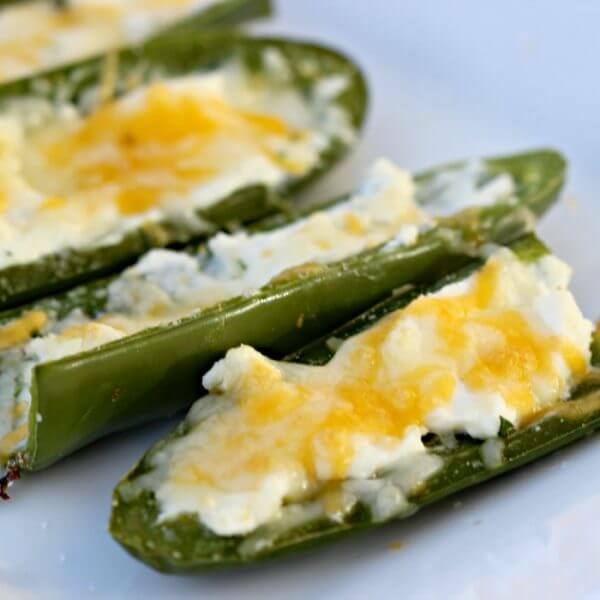 Jalapeno Peppers are stuffed with a delicious cheese mixture that is so yummy. Little bites of crispy Parmesan make this snack perfect for when you need something salty. You can have several of these without any guilt. 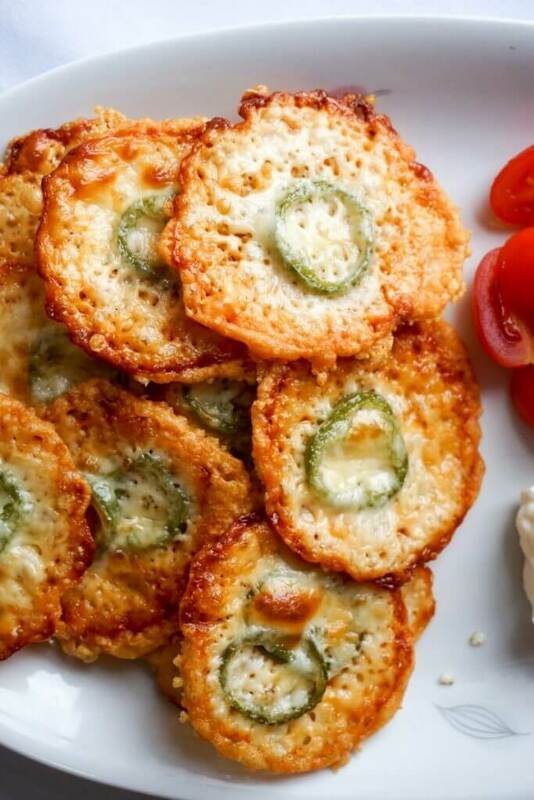 The Jalapeno on each crisp make these really amazing. 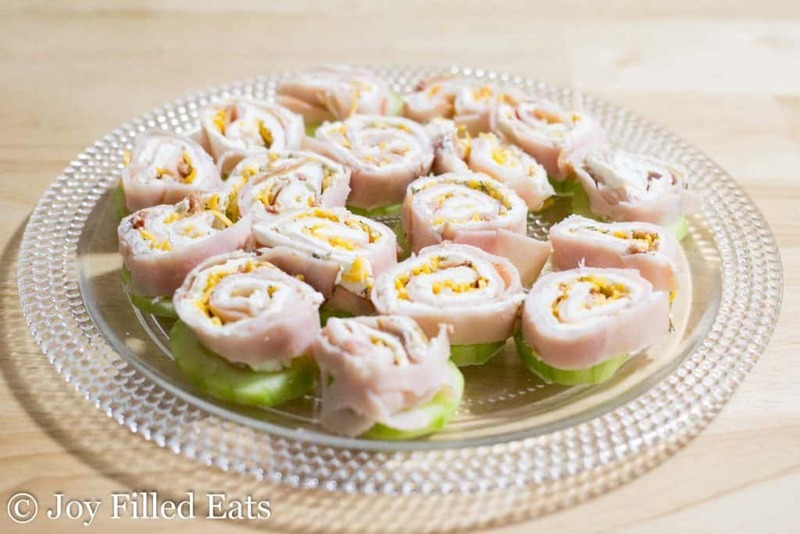 Perfect for parties as an appetizer or just to snack on at home. These skewers are so filling and tasty. 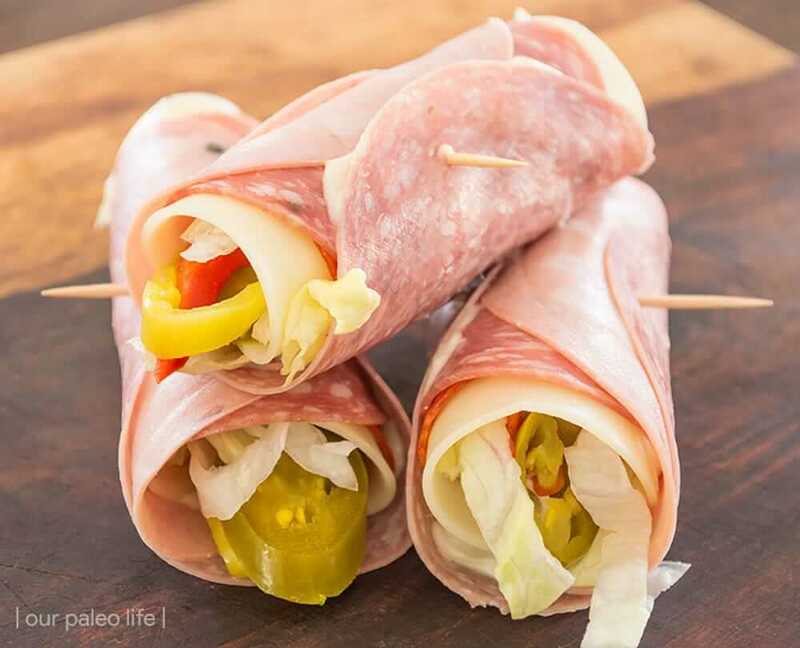 If you love pickles, try this roll up with pickles, meat and cheese! Plus, it looks so pretty all rolled up. 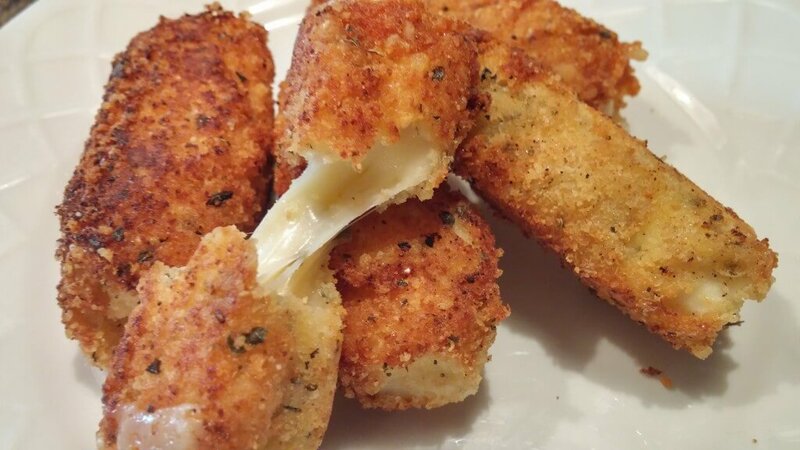 Mozzarella sticks get a makeover with this Keto recipe. The pepper jack cheese looks amazing! Which Ketogenic snacks will you try first? There are so many yummy options that it might be hard to decide which one to try! 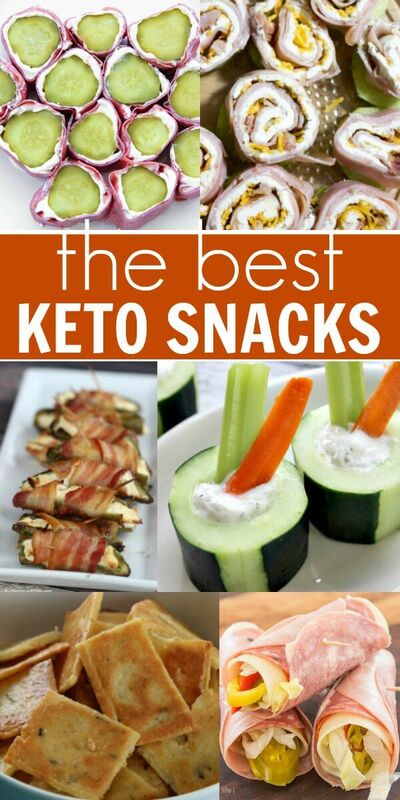 Now that you have all of these Keto snack ideas, you will never be bored with Keto! 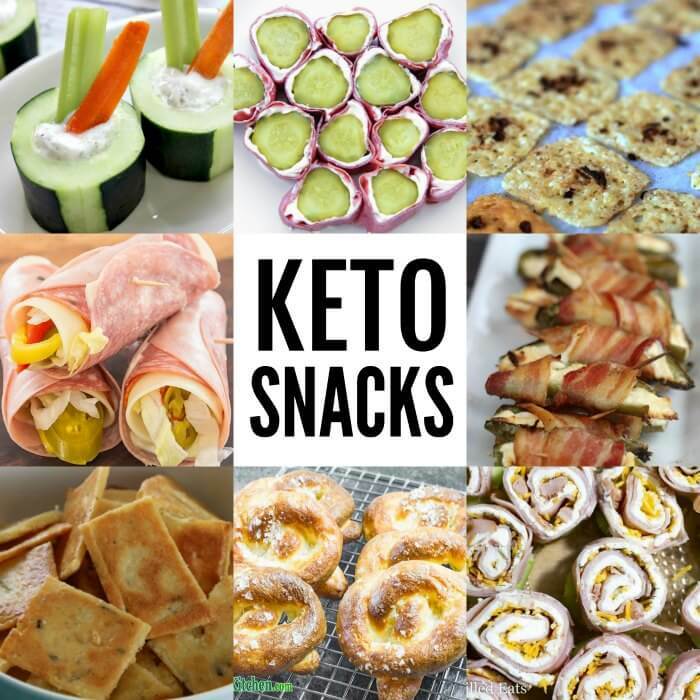 With so many new Keto snack recipes to try, you are going to love eating Keto. I can’t wait to try these snacks. They all sound so yummy! You might also like 5 Tips for Healthy Eating on a Budget. It’s helped our family cut costs while still eating healthy! Plus, life is so busy. I love that I can make easy keto snacks in little to no time! They are not complicated or hard to make. Perfect for a busy Mom! I know it can seem overwhelming at first. However, once you understand the Keto lifestyle it is very simple. You can find lots of resources here including a beginner’s guide to Keto. I even spotted the Keto Crock Pot Cookbook. It’s a lot to take in but basically the ketogenic diet is a diet high in fat with healthy fats for weight loss. The diet calls for a lot of nut butters, peanut butter and low or no carb snacks called fat bombs. You will also want to keep things sugar free. Oils like coconut oil, olive oil and mct oil are used. A lot of recipes call for cheese or cream cheese. Almond flour or pork rinds can be used for a coating or batter that fits into the ketogenic diet. Some people also like macadmia nuts. Once you get used to this diet, many report that it becomes a lifestyle and they really like it. Many people report higher levels of energy and that they just feel better! No one wants to be hungry all the time. With so many yummy snacks, it’s easy to stay on track! I have read it is important to eat nuts. However I’m allergic to nuts. Will I still be able to do the Keto diet successfully? Loves these ideas for snacks. This is the one area I have trouble with, esp late afternoon. Really want the recipes. Everyone of these sound amazing. Kat – I’m not sure – did you try using the Pinterest icon on the pictures in the post?